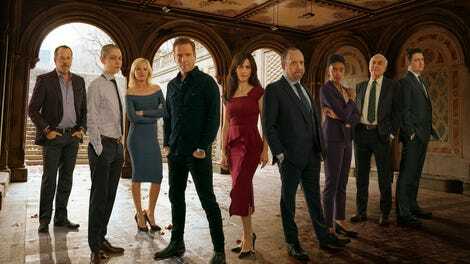 For the last half of the third season of Billions, we’ve been watching two separate shows interweaved, connected only by the character of Wendy Rhoades. There was a tantalizing moment, about halfway through it, when Chuck and Axe set aside their mutual animosity in order to settle a matter that had become an enormous thorn in both of their sides. It was brief, and when it was over, the series split in two. There was the Chuck Show and the Axe Show, and never the twain did meet. The genius of “Elmsley Count” (a reference to a magician’s sleight-of-hand that Taylor uses even as she’s pulling it on Axe) is that it continues on that path, stitching two separate season finales together, until its concluding moments when the promise of the fragile alliance hinted at weeks ago finally pays off. Chuck and Axe are both consumed with other enemies, and in their desire for vengeance, they are bonded. 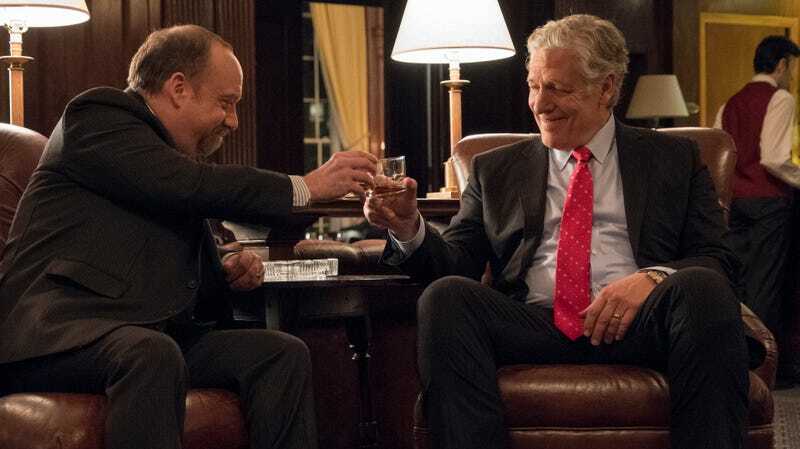 Billions started as a show about two men trying to take each other down and I assume it will get back to that at some point before it completes it run. But this is Showtime, and based on the network’s track record, that endgame could be very far away indeed. For now we’re left with a deliciously devious set-up for season four, in which these two could become dangerous allies. Let’s start with the downfall of Chuck Rhoades, which is immensely satisfying to watch, temporary though it may be. From the start, there’s something off about his plan to take down Jock Jeffcoat. We’re hearing too much about how it’s supposed to work, and it all plays out much too smoothly. There’s a sense throughout the episode that another shoe has to drop, and drop it does. Chuck’s part of the episode plays out a bit like “Golden Frog Time” in reverse; when the big reveal comes, Chuck isn’t laughing. Another relationship that takes a sudden turn is the one between Axe and Taylor. Taylor makes their big move at a capital-raising event at Citi Field, pulling a bait-and-switch and making off with more than $3 billion Axe thought was earmarked for him. They also make off with Mafee and appear to have Grigor Adolov’s interest as well. Andolov goes to a furious Axe with a no-win proposition: he will rid Axe of this “vermin” if he only says the word. Axe gives it serious consideration, running the different scenarios with Hall. If he says yes, Andolov will make it look like an accident, but he’ll always have something over Axe. If he says no, he’ll be perceived as weak, and Andolov may pull his investment. That’s what happens, with the added gut-punch that he’s now putting all his money with Taylor...and if Axe seeks revenge in such a way as to put his money at risk, they will meet again. In any case, Taylor appears to have reached the logical conclusion of their arc. They experimented with human emotions, but they’ve chosen numbers, calculations, and wealth. Oscar returns, but it’s only to put his money with Taylor; he trusts their ability to handle that, but not his heart. Wendy turns down Taylor’s offer, professing a belief in loyalty and trust, but Taylor rightly runs her down for not seeing any of this coming. Sometimes Wendy’s self-righteousness is just a little hard to take. She’s the bridge between Chuck and Axe, however, and has reason to want both to succeed in their revenge plots. And so it makes sense that the season closes with the three of them sitting together, drinking wine, and plotting. Although the back half of this season was uneven, I’ll be eagerly awaiting the results of that plotting when Billions returns. The Hold Steady play at the Axe Capital party, which really doesn’t strike me as their kind of scene. One of the biggest laughs of the season: Malkovich doing the “previously on” read in his Russian voice. Andolov has a townhouse set aside simply for private conversations. And for foosball.